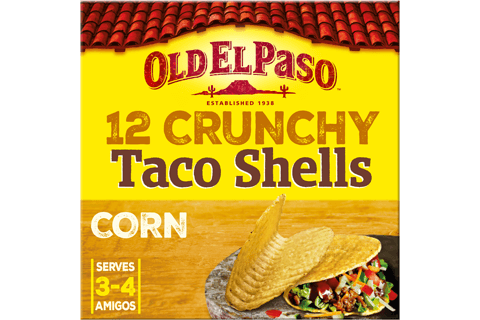 Enjoy this Mexican-style dinner of Old El Paso™ Crunchy Taco Shells filled with spicy chicken topped with cooling soured cream and hot green chillies – a wonderful meal. Heat the oil in a large frying pan over a medium heat. Add the onion and cook for 5 minutes then stir in the chicken and cook for 1 minute. Stir in the lager, crushed chilli flakes, cumin, salt and relish and bring to the boil. Reduce the heat to a simmer and cook, uncovered, for about 10 minutes, stirring occasionally until the sauce has thickened. 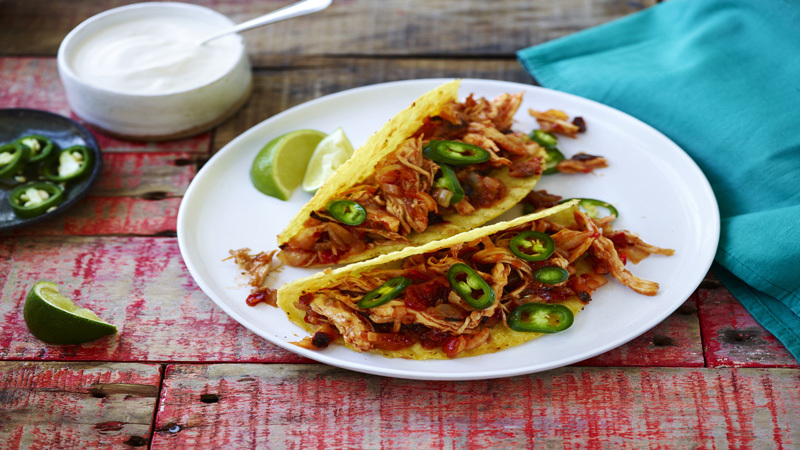 Spoon the mixture between the heated taco shells and top them with sliced green chillies. Serve with soured cream and lime wedges on the side. This is a great recipe to use up left over roast chicken or turkey. Remove any skin from the meat before shredding. If you don’t want to use lager, replace the liquid with chicken stock. For added flavor, top with chopped fresh coriander.